Dr Humpherey Okoroukwu, the Acting Director, Public Health, Federal Capital Territory Administration, says there is no confirmed case of monkey pox in Abuja. Okoroukwu told the News Agency of Nigeria (NAN) in an interview in Abuja on Thursday that though there were two suspected cases reported at Gwarimpa General Hospital in Abuja. He explained that he was called by the Medical Director of the hospital that cases suspected to be monkey pox were reported and he led a team of health workers to investigate them. According to him, the sample of the suspected cases of a man and a woman had been taken to a reference laboratory for a test and they were waiting for the result. 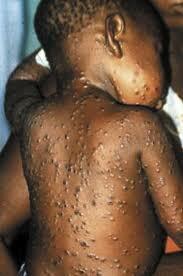 “I can tell you authoritatively that there is no confirmed case of monkey pox in the territory. “Nobody should panic because we have not confirmed any case and do not hope to confirm any and there is nothing wrong for people to report any suspected case,” he said. The director advised residents to imbibe culture of cleanliness to minimise chances of contracting the disease. He added that rodents and monkey of Africa specie are the vectors of monkey pox, urging residents to avoid direct contact with such animals, dead or alive, as well as the people suspected to be infected.